The work of Cameron Koch. As my friend so eloquently put it a few days ago, if a future version of myself came back in time to tell me in 2012 that I would be pouring dozens of hours into Diablo III in the year 2014, I would have laughed in his face and sent him back to his own time without a second thought. That I would be playing the problem filled Diablo III two years after its release would sound like an impossibility, and it was. Until a few months ago. You may have seen my write up during my GI internship on some of the Patch 2.0.1. changes. That was just the beginning. Since then with the release of Reaper of Souls expansion, Diablo III has me hooked. I’ve made a new character, poured more than 70 hours into end-game content, and have become obsessed with finding the perfect gear to finish my character builds. How is it possible that a game so plagued with problems a few short months after its original release could be completely reborn two years later? It all comes down to Blizzard, and their willingness to admit their mistakes and go back to the drawing board. When Diablo III launched in May of 2012, it had a fair share of problems. First among them was the always online component, made even worse by the fact that for the first several nights after the game’s release it was near impossible to log on and play thanks to server issues. This, however, would become the least of the game’s numerous issues. Diablo III at launch shared a nearly identical formula to that of Diablo II. Pick a hero and level them up as you play through the story mode multiple times, with each completion allowing you to tackle a more challenging difficulty. End-game was Inferno difficulty, the hardest of the hard. Only the most well equipped and skilled players had any chance in hell of getting past Act II of Inferno. Repeated deaths in Inferno carried a heavy cost as well, as gear durability degrades after each death, eventually resulting in broken gear and an absurdly high amount of gold needed to repair it. Trying Inferno for many players wasn’t even worth it. Therein lied the problem. While skill was certainly a factor, progressing in Inferno mode came down more to gear than skill. Without legendary gear and item sets, you could not succeed. How is one to obtain these items? In theory drop rates in Inferno mode for better gear were much higher, but due to repair costs and the high difficulty, most players could only farm for items on lower difficulties, replaying boss battles or certain encounters in the game’s story mode hoping and praying the loot would drop after defeating the enemies. In practice, useful item drop rates around the board were abysmally low. You could play for days and find nothing remotely usable for your character. It was frustrating. RPGs, especially ones like Diablo, are all about character progression, and due to a lack of things to do and new useful gear, Diablo III players ran into a brick wall. 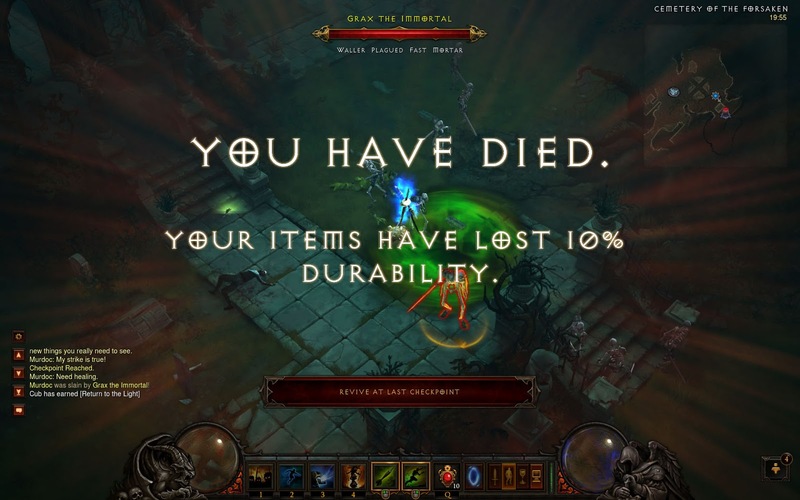 This frustration played directly into Diablo III’s other main problem, the auction house. A good idea in theory, the in-game auction house became a symbol for everything wrong with Diablo III. Implemented to eliminate illegal item and gold selling sites that were incredibly popular in the time of Diablo II, the Diablo III auction house gave players an easy to use, legal version of the same idea, while also cutting Blizzard in on the profits. 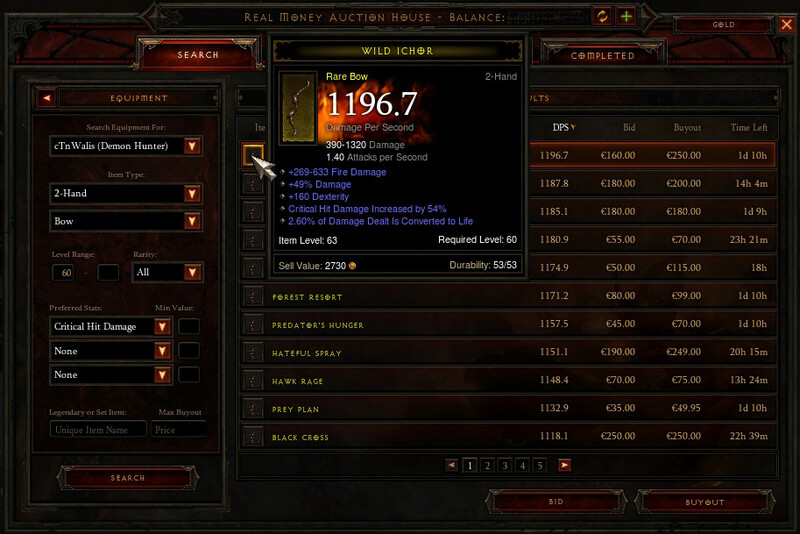 Diablo III’s auction house came in two forms; an auction house where in game gold was used to purchase items, and one where players could buy items with real world cash. Many players, frustrated with being unable to obtain gear through simply playing the game, resorted to farming insane amounts of gold to purchase new gear for their characters in order to have a fighting chance in Inferno. If a player did have the luck to encounter a legendary item, chances were it wouldn’t be useful for their character, resulting in the player selling it on the auction house for huge profits and then using that money to buy gear they could actually use. Or, as became common, you could just spend real world money to gear out your character. Diablo III in essence became a “pay to win” game, the type of business model despised by gamers everywhere and more often seen in free-to-play titles. Except Diablo III wasn’t free to play. It was the sequel to one of the most loved RPGs in gaming history, and millions of gamers paid $60 expecting a game they would play for years to come. What they got was a game that through all i’s systems pushed players towards spending more money, with Blizzard getting a cut out of every auction sold. Whether this cycle of “pay to win” was intentional on Blizzard’s part is hard to say, but as more and more players began leaving Diablo III barely three months after it’s release, the developer took serious notice. Numerous changes came to the game over the next year and a half, though most of them small and not addressing the core issue of loot and the auction house. The first big step in truly bringing Diablo III back to life was Patch 2.0.1., released on February 25 of this year. While it implemented a number of changes, the most important were the refining of the game’s previously implemented paragon leveling system and what Blizzard calls “Loot 2.0.” Paragon levels could be achieved after hitting the level cap of 60, allowing players to still put their XP to good use. Each paragon level grants small choices in character improvement, whether slightly increasing base states or reducing resource costs. The more paragon levels, the more improvements, slowly adding up some substantial character improvements. Loot 2.0 implemented the chance of each piece of loot becoming smart loot, or items that roll intelligently based on your character to determine the item’s attributes. This made the chance of finding gear useful to your character much greater. Blizzard also greatly increased loot drop rates across the board, resulting in more and better loot, as well as completely reworking the game’s difficulties. Players could continue to progress their characters once again. All that remained was the closing of the auction house. That finally happened on March 18, when in preparation for the game’s expansion, Reaper of Souls, Blizzard turned off the auction house, in the process killing the core game feature that plagued Diablo III for close to two years. All auctions being sold at the time either went to the highest bidder or were returned to the seller. Blizzard will close the auction house for good on June 24. While some players were making thousands of dollars in real world cash off the game, the vasy majority of players won’t miss it. 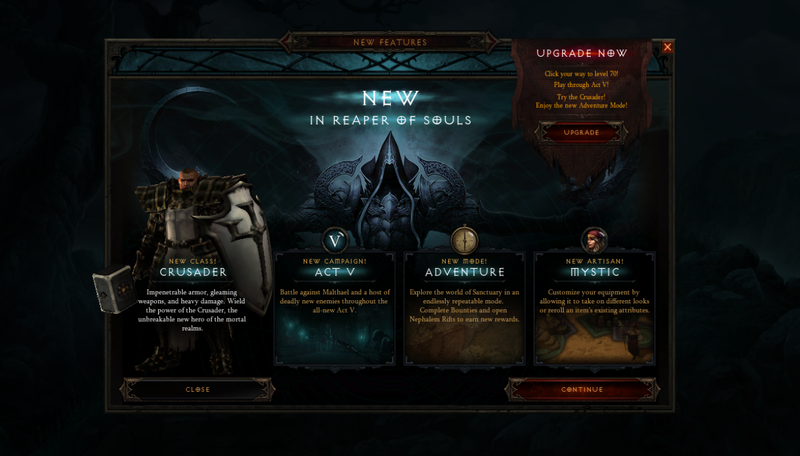 Reaper of Souls reinvigorated the game, adding a new character class, a new act for players to play through, and most importantly end game content in the form of adventure mode, an endlessly replayable form of the game that rewards players for doing bounties with quests, gear, and more. Special events like double XP weekends and a double legendary drop rate weekend, later made permanent, further added icing to the cake and attracted players like myself back to the game. More than two years since it’s original release, Diablo III is a completely different game thanks to no small amount of effort on Blizzard’s part. No longer plagued by the auction house and lack of end-game content, the game is fun again. 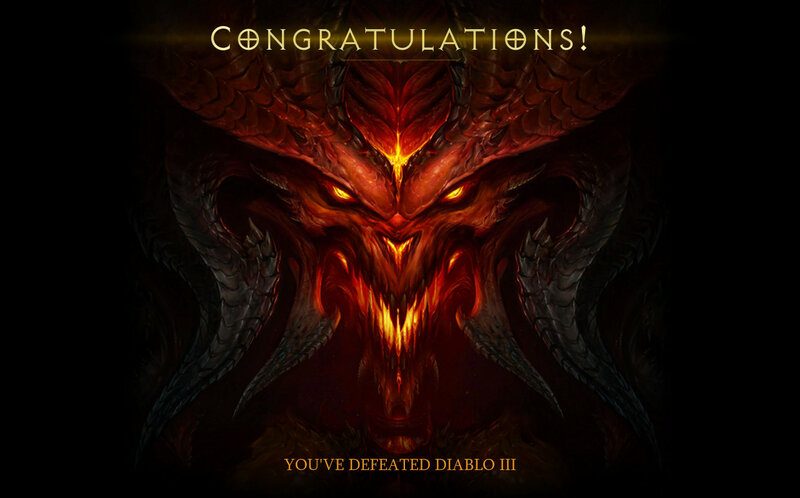 Playing the game, farming for that legendary item you need to complete your set, and earning more paragon levels to tweak your character captures some of the vital essence of Diablo that made its predecessor so addictive. I never would have guessed I would be playing Diablo III in 2014, or that Blizzard would put the time and effort to completely gut and reimagine their game. But I am, and Blizzard did. Now all I want to know is this — when does the next expansion come out?